Video: Will revolt sweep across the Arab world? Transcript of: Will revolt sweep across the Arab world? MATT LAUER, co-host: The big question's now what happens next, and what does this uprising mean for the future of the Middle East ? Michael Singh is the former senior director for Middle East Affairs at the National Security Council , Martin Fletcher covers the region for NBC and is our former Tel Aviv bureau chief, and Andrea Mitchell is NBC 's chief foreign affairs correspondent. Good morning to all of you. ANDREA MITCHELL reporting: Good morning, Matt. Mr. MICHAEL SINGH (Fellow, Washington Institute for Near East Policy): Good morning. LAUER: Michael , let me start with you. A guy who's become somewhat the face of this revolt is Mohamed ElBaradei . He spoke yesterday and said this, 'We have restored our rights, we have restored our freedom, and what we have begun can not be reversed.' Is he putting the best possible spin on this? Does Hosni Mubarak have any cards left to play? Mr. SINGH: Well, it's developed into a bit of a stand-off there in the streets of Cairo . I mean, ElBaradei and the opposition are insisting that Mubarak has to leave. Mubarak doesn't seem to be budging and he's pouring more troops and more police in the streets. And so right now you really have a stand-off between the two. LAUER: In fact, it seems that Mubarak in some ways is being tone deaf here. Here you have these people in the streets saying they want the end of the old regime, and yet Mubarak appoints his vice president, a key member of that old regime, his right-hand man, his former intelligence chief. This is not going to go over well. Mr. SINGH: Well, that's right. And you have to remember, this is a proud man. He's been ruling for 29 years. And he really believes, or at least believed at the beginning, that this was an unruly minority that's trying to threaten the security of his country. And so really, the United States has to bring him around to a different view. LAUER: You talk about a stand-off. The fact of the matter is, there will be some movement in one direction or another. When you look into your crystal ball, which direction is it going? Mr. SINGH: Well, right now I think one of the things we have to look very carefully at is the economic situation. No containers are being unloaded in the ports, the bread -- bakeries that are run by the state aren't working, ATMs have no money. So how long can people hold out -- hold out there in the streets is the question. Is the military willing to use force if they're given the order? These are the key questions. LAUER: Over the weekend it did not seem as if they were. Mr. SINGH: That's right . LAUER: Do you think that might change? Mr. SINGH: It may change. Ad I think the return of the police to the streets may be a spark for more violence, more conflict. The people hate the police, whereas the military is respected. So right now I think things are teetering on an edge. LAUER: Martin , it seems as if this began with some students, largely young people , in many cases using social networking to communicate. It seems other groups have now joined the fray. Is that original message being co-opted for the benefit of other people now? MARTIN FLETCHER reporting: Well, I think there's -- the original message is being co-opted simply because it's a message that is shared by most Egyptians. The anger at the corruption, of the poverty, the joblessness is not limited to young people . The country's really uniform in that -- united, I think, in that. But the question really becomes the Muslim Brotherhood . They're a group, they were underground. They're be -- they're being seen more in the streets. They're giving out water, they're giving out food to the demonstrators there. We're hearing Muslim Brotherhood slogans. LAUER: We've seen that tactic in other places in the Middle East as well. FLETCHER: Absolutely. They come -- they take a real issue and they use it because they support that issue. And they're becoming popular, of course. LAUER: So what role do you expect them to have in the future of Egypt , and how worried should the United States be about that role? FLETCHER: Probably a larger role, much larger role, and I think the United States probably should be very worried about it. It doesn't necessarily mean the Muslim Brotherhood is going to be an immediate terrorist force. But at the same time, Muslim fundamentalism -- Muslim fundamentalism is what they are. And other areas in the region will be looking at their success, in particular Hamas , for instance, in Gaza , which is actually just a branch of the Egyptian Muslim Brotherhood . LAUER: Andrea , let me bring you in. Mohamad ElBaradei also had this to say over the weekend. He said -- talking about the call from the United States to hold elections in the fall. LAUER: Quote, "The American government cannot ask the Egyptian people to believe that a dictator who's been in power for 30 years will be the one to implement democracy. This is really a farce. People here might be poor, but they are intelligent." How do you think the administration is -- has handled this little tightrope, or this balancing act that they've been asked to perform so far? MITCHELL: Well, it is a very tough balancing act. I mean, here they have to at the same time, reassure King Abdullah in Saudi Arabia and King Abdullah in Jordan and other Arab leaders that we are not abandoning them, but still signal the revolutionaries, really, the protesters that they are on the side of democracy against an ally who has been critical in making peace with Israel and importantly, in recent decade, the war on terror , the key ally in the war on terror and the key ally against Saddam Hussein in Desert Storm . So you've got a balancing act. They perhaps were a bit slow in moving and in developing a voice in the initial days. You had misspeaking by Joe Biden , off message a bit on Thursday, saying that Mubarak was an ally and not a dictator. But at the same time, by Friday the president had signaled very strongly and himself said to his advisers, 'I need to go out and speak,' and spoke at 6:30 on Friday night our time, spoke to Mubarak . They're obviously not happy that Mubarak is not listening, not getting the message. But they don't want this to move too quickly because right now there's a real vacuum. They don't see that ElBaradei has real roots, but they were very intrigued by what he did say yesterday, which is that there's a possibility of some coalition with the army. MITCHELL: If you have ElBaradei and the army, you're beginning to broaden an interim situation. LAUER: And, Michael , I'm going to give you the last word here. It seems as if when you listen to a lot of the coverage and a lot of the concern here in the United States over the weekend, there is an assumption that whatever follows Mubarak will be worse for the United States than what we know in Mubarak . Is that a correct assumption? Mr. SINGH: It's not necessarily correct. I think, you know, in this type of situation, in a crisis, first you're scrambling to get information and then you're really trying to prevent the worst outcomes. And I think for the White House , the worst outcomes are the violent overthrow of Mubarak or massacres in the streets. And so right now they're trying to buy time so that then we can use our leverage, use our influence in this sort of medium term to bring about that successful outcome, that orderly transition to democracy like Hillary Clinton said. LAUER: Michael Singh , Martin Fletcher , Andrea Mitchell , thanks to all of you for your perspective on this. 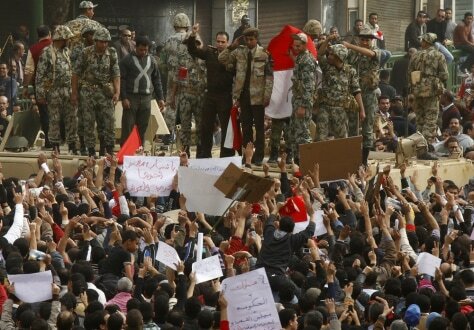 A senior army officer salutes a crowd of cheering protesters at Tahrir square in Cairo. Protesters stormed Cairo streets in a bid to drive Hosni Mubarak from power, even as the longtime president set the stage for a successor by naming his intelligence chief as his first-ever vice president. The following are key players in the unfolding crisis. 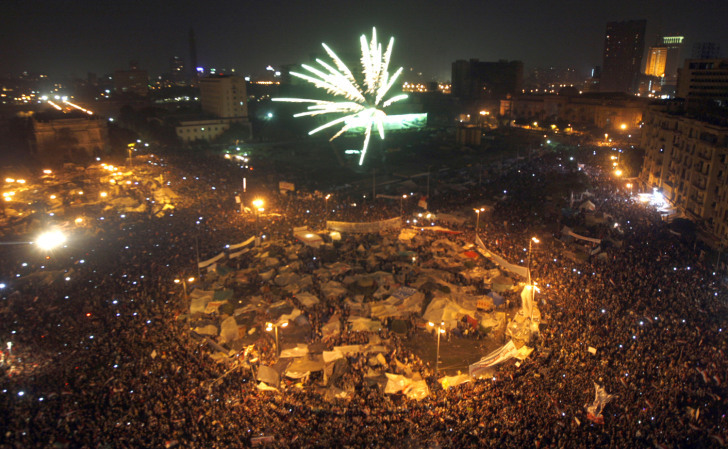 Role: Mubarak resigned as president and handed control to the military on Feb. 11, bowing down after a historic 18-day wave of pro-democracy demonstrations by hundreds of thousands. The former air force commander had ruled Egypt for 30 years as leader of the National Democratic Party. Background: Mubarak was thrust into office when Islamists gunned down his predecessor Anwar Sadat at a military parade in 1981. He has long promoted peace abroad and on the domestic front he has kept a tight lid on political opposition. He has resisted any significant political change even under pressure from the United States. The U.S. has poured billions of dollars of military and other aid into Egypt since it became the first Arab state to make peace with Israel, signing a treaty in 1979. Controversy: Mubarak won the first multicandidate presidential election in 2005 although the outcome was never in doubt and his main rival came in a distant second. Rights groups and observers said the election was marred by irregularities. Personal note: There have been questions about his health after surgery in Germany last March. Role: The intelligence chief and Mubarak confidant became Egypt's first vice president in three decades on Jan. 29. The move clearly set up a succession that would hand power to Suleiman and keep control of Egypt in the hands of military men. Military man: He has been the director of the Egyptian General Intelligence Services since 1993, a part in which he has played a prominent public role in diplomacy, including in Egypt's relations with Israel and the United States. In 1992 he headed the General Operations Authority in the Armed Forces and then became the director of the military intelligence unit before taking over EGIS. Suleiman took part in the war in Yemen in 1962 and the 1967 and 1973 wars against Israel. Intel chief: Suleiman was in charge of the country's most important political security files, and was the mastermind behind the fragmentation of Islamist groups who led the uprising against the state in the 1990s. 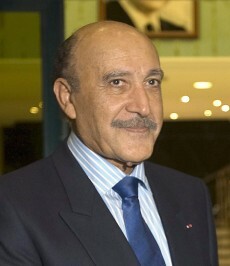 Egypt's Civil Aviation Minister Ahmed Shafiq. 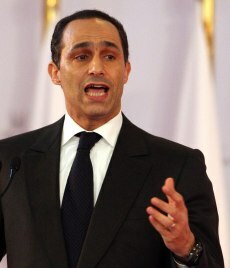 Role: President Mubarak appointed Shafiq as prime minister on Jan. 29. Background: A close associate of Mubarak, Shafiq has been minister of civil aviation since 2002. 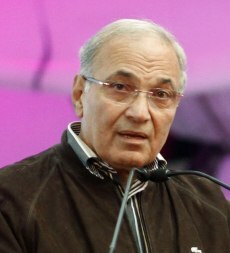 As minister of civil aviation, Shafiq has won a reputation for efficiency and administrative competence. He has supervised a successful modernization program at the state airline, EgyptAir, and improvements to the country's airports. Former fighter pilot: Shafiq served as commander of the Egyptian air force between 1996 and 2002, a post Mubarak held before he became vice president of Egypt under former President Anwar Sadat. 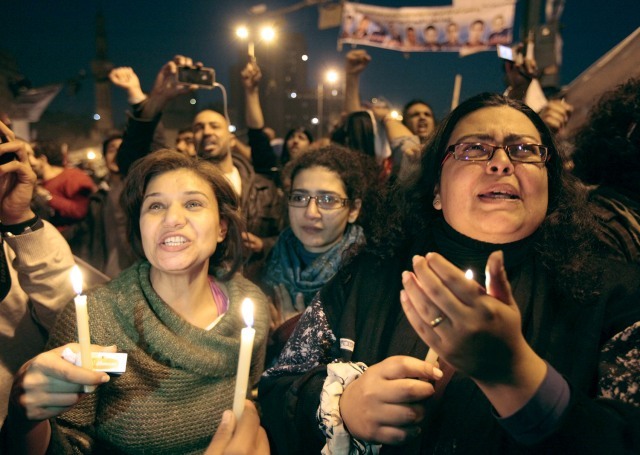 Role: The Nobel Peace Prize winner joined demonstrators trying to oust Mubarak. 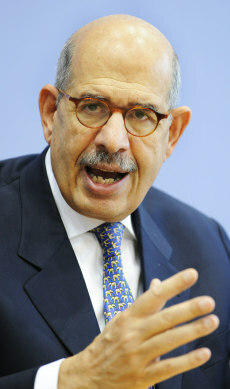 ElBaradei has suggested he might run for president if democratic and constitutional change were implemented. Atomic watchdog: ElBaradei joined the International Atomic Energy Agency in 1984 and served as its director-general in 1997. He transformed the IAEA into a body bold enough to take a stand on political issues relating to peace and proliferation, despite critics' belief that it was not its place. In 2005, ElBaradei and the IAEA were awarded the Nobel Peace Prize. He retired in 2009. Law and diplomacy: He studied law, graduating from the University of Cairo and the New York University School of Law. He began his career in the Egyptian diplomatic service in 1964, working twice in the permanent missions of Egypt to the United Nations in New York and Geneva. He was in charge of political, legal and arms control issues. He was a special assistant to the Egyptian foreign minister and was a member of the team that negotiated the peace settlement with Israel at Camp David in 1978. He joined the United Nations two years later. On Iraq: ElBaradei was outspoken on the lack of evidence of weapons of mass destruction in Iraq before the U.S.-led invasion in 2003, which angered the Bush administration. 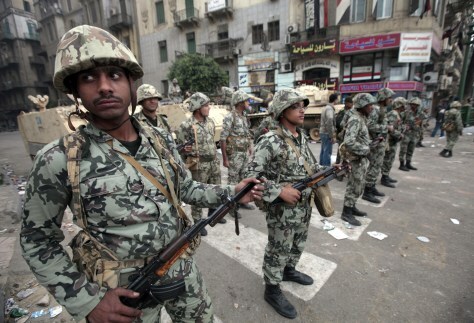 Egyptian army soldiers in Tahrir square in Cairo. Role: The army remains the most powerful institution in the nation, and whatever it does next will determine the future of the Arab world's most populous country. The military appeared to be going to great lengths to calm the country without appearing opposed to demonstrations. Background: Egypt's 500,000-man army has long enjoyed the respect of citizens who perceive it as the country's least corrupt and most efficient public institution, particularly compared to a police force notorious for heavy handedness and corruption. It is touted as having defeated Israel in the 1973 Mideast War, and revered for that role. Stabilizer: The military, for its part, sees itself as the guarantor of national stability and above the political fray, loyal to both the government and what it sees as the interests of the general population. The military has given Egypt all of its four presidents since the monarchy was toppled in 1952. Provider: Although it has almost completely withdrawn from politics since 1952, the army has added to its strength by venturing into economic activity, playing a growing role in such key service industries as food production and construction. It stepped in in 2008 during an acute shortage of bread, Egypt's main stable, which it provided from its own bakeries. It has since opened outlets for basic food items sold as vastly discounted prices. Role: The brotherhood is Egypt's largest and most organized political opposition movement. Banned in 1954 on charges of using violence, members returned to Egypt to show support in protests. Background: The group said it has since denounced violence and expanded its international presence. 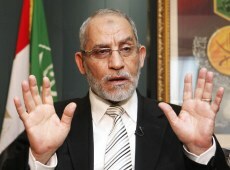 It has participated in Egyptian elections as independents despite frequent crackdowns. It surprisingly won about 20 percent of the 454 seats in 2005 parliamentary elections and since then, authorities have jailed around 5,000 of its members. The group believes in Islamic rule. New audience: The Muslim Brotherhood is the focus of a TV series, "Al-Gamaa," or "The Group," which centers on a 2009 court case in which members were accused of setting up a student militia. Role: Served as secretary general of his father's National Democratic Party. Background: The younger Mubarak spent 11 years working at Bank of America in Cairo and London, had gained considerable influence in government after his father appointed him head of the ruling National Democratic Party's (NDP) policy committee in 2002. 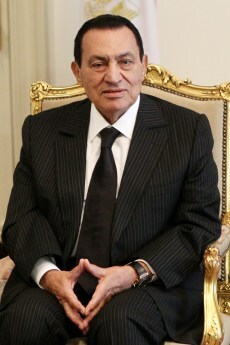 Many Egyptians felt Mubarak was grooming Gamal as his successor. Before Gamal rose to prominence, speculation was rife in the 1990s that Mubarak wanted Alaa, Gamal's younger brother, to succeed him.